With the Republican National Convention in Cleveland winding down, the Democrats' time to shine is just around the corner. But why is the DNC happening so early this year? Returning to a mid-summer convention schedule isn't just happening because of the Olympics this year! According to reporting from the Los Angeles Times, the Democratic National Convention was scheduled to take place on the heels of the RNC in part to "blunt" the momentum of the GOP ticket. A Trump-Pence ticket makes things slightly more complicated for the Dems; with the Donald picking a committed culture warrior from the Midwest to round out the Republican side. Scheduling the conventions to take place in mid-July is a change in pace from the past few years. Last time around, Republicans held their convention from August 27 to 30, 2012. Then, Democrats followed with their convention, which ran from September 4 to 6. In 2008, a similar late-August/early-September convention schedule was in play, only then the Democrats kicked off the festivities first, holding their event from August 25 to 28, 2008, while the GOP hold their gathering from September 1 to 4. When timing the national conventions, there is also a financial aspect that comes into play. Once the nominee has officially been certified, then parties are allowed to start dipping into their general election funding. This year, with a contentious primary process almost — almost — wrapped up, and pointed challenges from not one, but two, minor parties, the thinking is that the earlier that the Dems will be able to switch over to general election funds, the better. With the cash infusion from Sen. Sanders' legion of grassroots supporters failing to materialize despite increasingly desperate-sounding fundraising emails from the DNC, the way that Clinton's team sees it, being able to access general election funding sooner rather than later will be an important part of her effort to become the first female president, and to keep Donald Trump from moving into 1600 Pennsylvania Avenue. 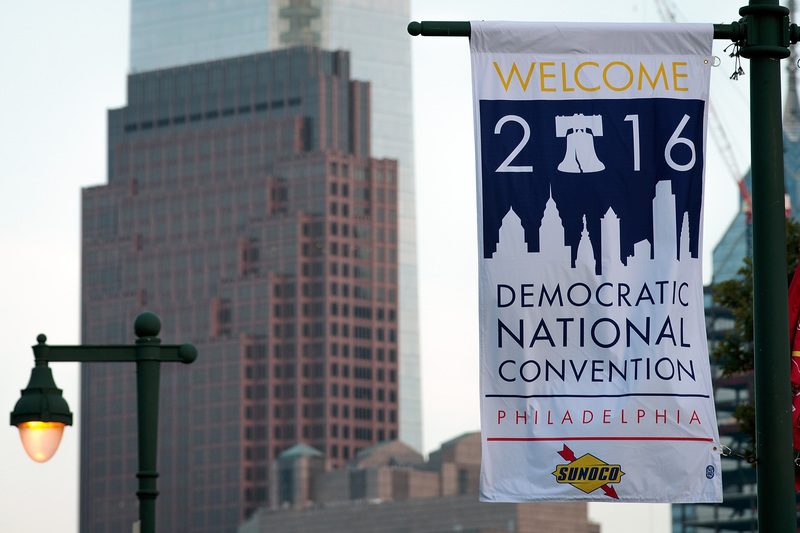 So, why is the DNC taking place so early this year? The scheduling calculus is based on a reaction to the GOP's timeline, the need for Clinton to be able to have access to funds earmarked for general election spending ASAP, and may even have a bit to do with Rio, but at the end of the day, there is somewhat of a risk involved. With 108 days to go until election day and a record number of Americans identifying as independent, there will be plenty of time for Sanders, Stein, Johnson, and their supporters, to make a serious dent in the support of the two heritage parties.